I used to look forward to my library’s used book sales for the opportunity to add some great finds to my ever expanding book collection. 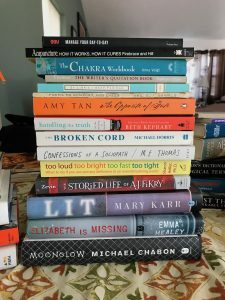 While browsing, I always found myself looking at what other shoppers were buying and wanting to chat about books. So I started volunteering at the sales! This past Sunday was my third official shift on the sale’s Bag Day. All the books you can fit in a plastic shopping bag for $2, or a larger canvas bag for $3 or $5. 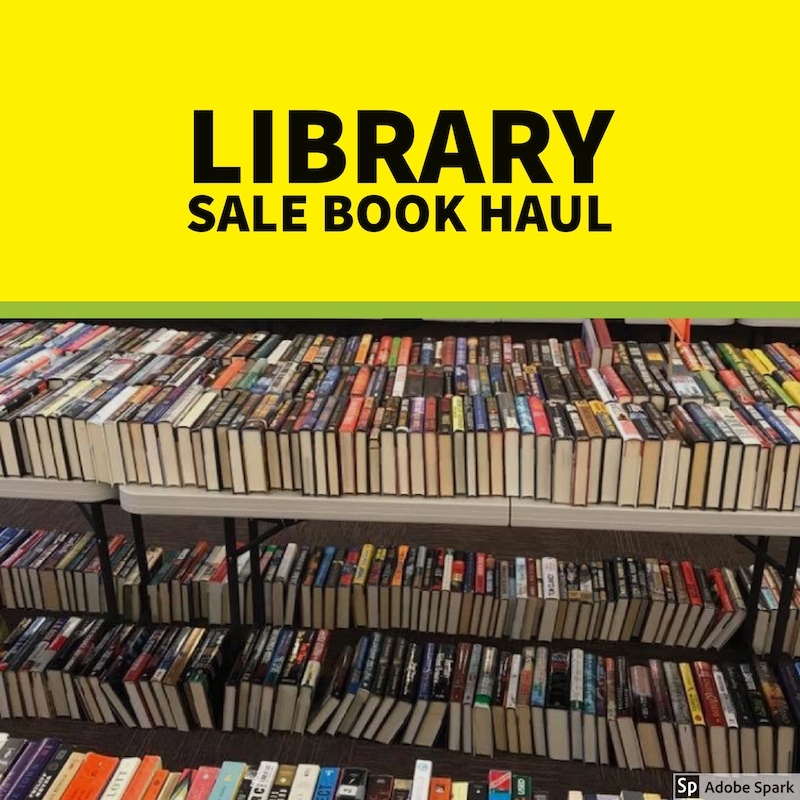 There are always SO MANY great books to choose from, so it’s a heck of a deal! The books at these sales are donated throughout the year and stored in the library’s basement until the next sale. My job is to keep the books organized and going into shoppers’ bags! 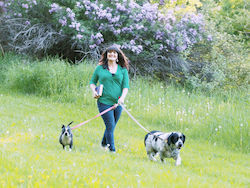 The photo above is me at the start of the sale. For four solid hours, I move books, from the floor to the table, then reduce three rows on the tables down to two. I keep books in the appropriate sections, make sure everyone has a bag (or two) in their hands, and help shoppers find what they’re looking for. Sometimes they don’t know what they’re looking for, and that’s my favorite part! “What do you like to read?” I ask those who are browsing without intention. “Anything.” Is an answer I often receive. “Fiction? Non-fiction? Mysteries? Literary fiction?” When put on the spot, people just don’t know! 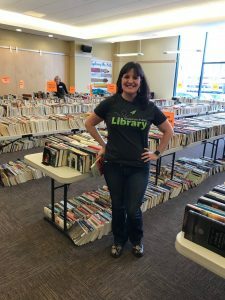 Besides chatting and making connections with other bibliophiles, the best part of my volunteer shift is having four hours to acquire my own stack of chosen books! When I first arrive I’m often overwhelmed by the sheer number of books available and perhaps one or two titles will pop out at me. As the day goes on and I move pile after pile of books, I start to see titles I’d missed earlier. There’s a little bit of everything, including a couple of titles I already own! 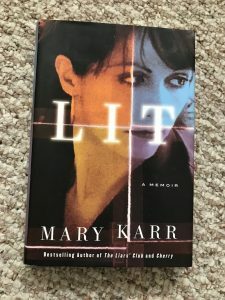 I picked up this lovely hardback copy of LIT by Mary Karr to replace my paperback, which I can now pass on to a friend. And I grabbed a paperback copy of The Storied Life of A.J. Fikry by Gabrielle Kevin to gift at some point. I recently read it and loved it so much, I know a few people who will also enjoy it. As with previous sales, this is a great haul. 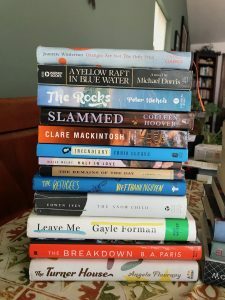 I wasn’t expecting to find so many titles on my TBR List. 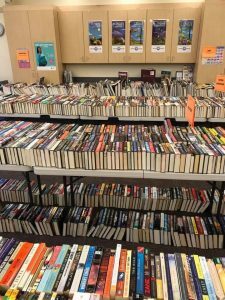 My library sale is coming up next month, and I can’t wait! It looks like you have some great titles there!